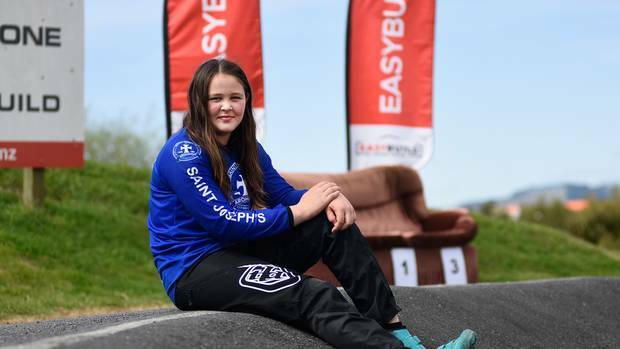 Jaydah-Lily, from St Joseph’s School in Whakatane admitted afterwards she was more than a little nervous before her run. “Yes, I was,” the 11-year-old said, while her proud dad Hayden Moore stood nearby. A former national BMX biker himself, he’s immensely proud of the levels his daughter is reaching, although he confesses he’s had to make a few sacrifices. It’s not hard to understand why. The pair of carbon-framed wheels on her bike cost between $1300 and $1500. Then there’s the frame which is worth about $2000, with the accessories like a helmet and gloves on top of that. “And she’s still growing,” her dad says ruefully. 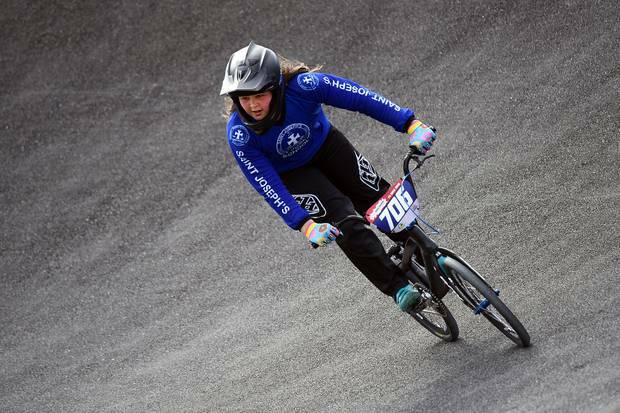 Hastings Intermediate’s Renae Colman–Savage, a teammate of Jaydah in the New Zealand Mighty 11 team, also beat the old record, recording 40.63s. And there are new bragging rights in Waikato’s Greenough family, after Jack, representing St Peter’s College of Cambridge beat his brother Bennett’s time set two years ago. Bennett, now in Year 10 at the same school, posted 37.57s in 2016. His little brother beat that with 37.15s, in the morning run, before slashing the mark even further to 36.77 in the afternoon run. 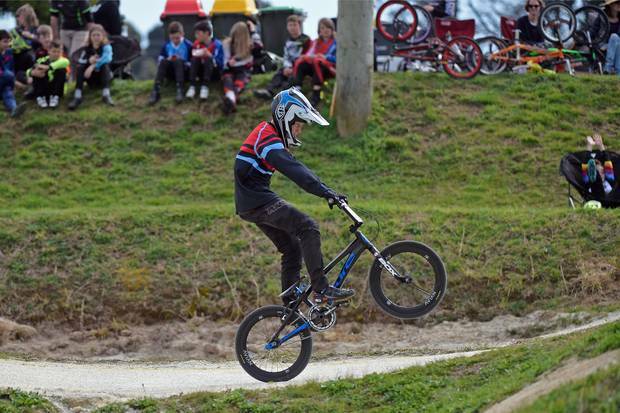 The family’s life appears to be dominated by BMX racing. Bennett and Jack’s mother Sharon was watching on as her middle child set his record. She’s another parent who admits this is not a cheap sport. 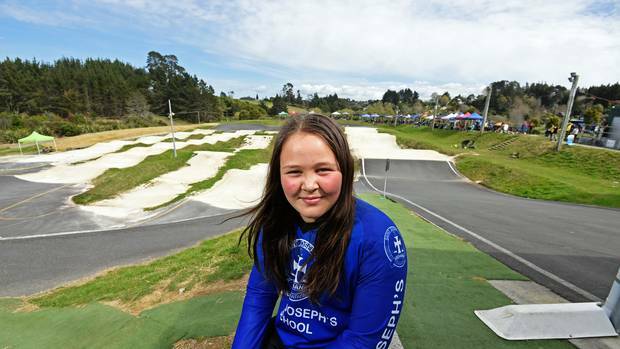 Yes, there’s daughter Lily, aged 11, who’s mad keen on the sport too. 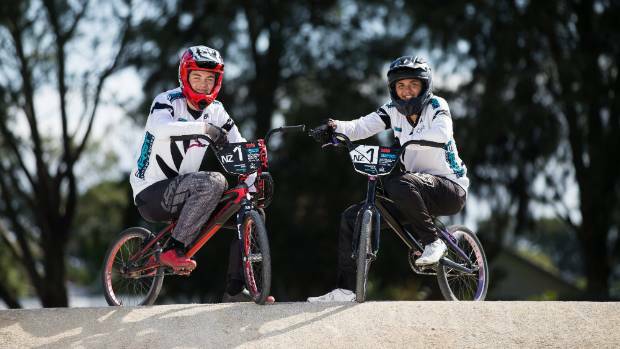 “She’ll be here next year,” says Sharon, who seems resigned to the fact that all family holidays now revolve around BMX racing.